CHICAGO – January 1, 2016 – Today the puck officially drops on Kraft Hockeyville USA 2016 at the 2016 Bridgestone NHL Winter Classic featuring the Montreal Canadiens and Boston Bruins broadcast on NBC at 1 p.m. ET. This year’s search for America’s most passionate hockey community reunites an all-star roster of partners, including the National Hockey League Players’ Association (NHLPA), National Hockey League (NHL), NBC Sports Group, and USA Hockey. Through the program, hockey communities across the U.S. can now vie for the coveted title of “Kraft Hockeyville USA 2016” and enter for a chance to win the grand prize of hosting an NHL® Pre-Season game televised live on NBCSN and $150,000 in arena upgrades. Like a hockey game, Kraft Hockeyville USA has three periods. In the first period, communities across the country are encouraged to enter by sharing unique stories about their local rink, teams, hockey spirit and passion and submitting their nominations now through March 11, 2016, at www.KraftHockeyville.com, where complete contest rules and nomination applications are available. Round 1 (April 12-14, 2016) – Top four communities chosen to move on to the next round; remaining six each receive $10,000 toward arena upgrades. Round 2 (April 19-20, 2016) – Top two finalists selected; remaining two each receive $25,000 toward arena upgrades. 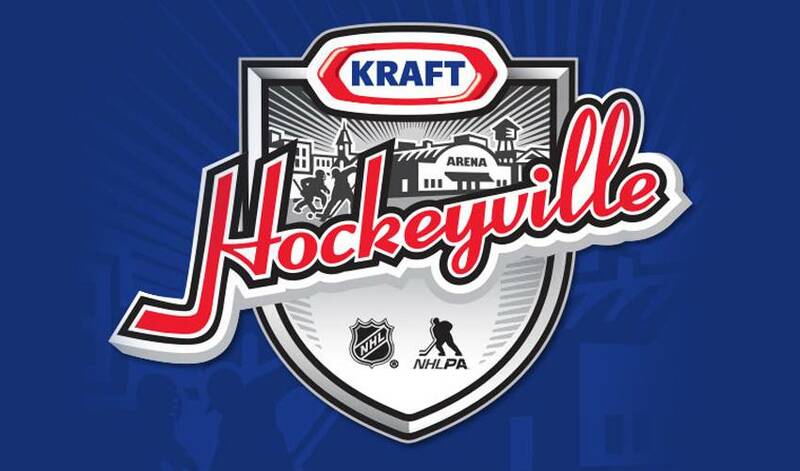 Round 3 (April 25-26, 2016) – One community will emerge as “Kraft Hockeyville USA” 2016; runner-up will receive $75,000 toward arena upgrades. In the final period, the winning community will be announced – on April 30, 2016 – and receive the grand prize of the chance to host an NHL Pre-Season game televised on NBCSN, as well as $150,000 in arena upgrades from Kraft Heinz. Kraft Hockeyville USA is meant to not only ignite a passion for hockey in America, but also bring a renewed sense of pride to communities. Since launching in Canada in 2006, Kraft Hockeyville has positively impacted 53 communities with nearly $2 million donated in arena upgrades. On May 2, 2015, after months of community rallying, Johnstown, Pa. – the city that served as inspiration for the popular hockey movie, “Slap Shot” – was named the first-ever Kraft Hockeyville USA. Kraft Heinz will also leverage its diverse portfolio of products to help unite hockey fans in their celebrations of the sport and their communities. The campaign will celebrate consumers’ excitement around a variety of iconic brands including Planters, Velveeta, Maxwell House, Heinz Tomato Ketchup, Heinz Yellow Mustard, Oscar Mayer, and Kraft Natural Cheese. For contest rules, information on nominating your community and complete program details, visit www.KraftHockeyville.com. Kraft Hockeyville USA can also be found at Facebook.com/KraftHockeyvilleUSA and on Twitter (@HockeyvilleUSA). You can join the conversation using #HockeyvilleUSA.